The structure of the home is what gives it shape and strength. The most commonly asked questions of a professional home inspector are related to evaluating the condition of the structure. 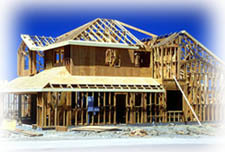 The two main components of the structure are the foundation and the framing system. Each of these components are critical in providing the building with long lasting comfort and stability. Major defects in the structure can be very expensive and extensive to repair. The mechanical systems of the dwelling are designed to provide a comfortable and safe living environment. Each system has many components and there are many types of each system. An inspector’s skills and experience are used to evaluate the safe operational condition of each system and to report any defects discovered. The mechanical systems encompass the entire dwelling and exterior portions. Your inspector’s unique training, skills and experience will separate him in these areas from un-trained or inexperienced inspectors. The roof is part of the exterior but requires more individual attention. It is designed to protect all the components of the dwelling. 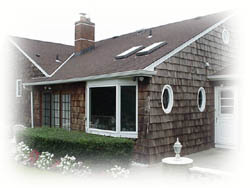 There are many roof styles and finished materials. Each style and material is inspected carefully for wear, leaks, defects and other deficiencies. Roofing problems that go undetected can cause serious harm to other components of the building. 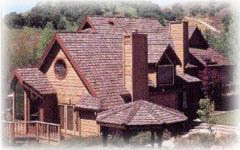 Styles and types of roofs are dictated by location, age, and preference. 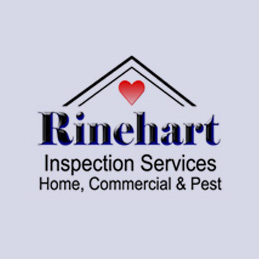 Your inspector will carefully evaluate the condition of the material used, note defects, and discuss the possible remaining life expectancy of the roof surface. The exterior of the building includes; siding, trim, gutters and downspouts, windows, roof, garage, stoops, decks, patios, grounds and related items. 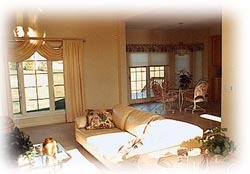 Each of these items is inspected not only for its condition, but how it relates to the dwelling. Defects in exterior components such as the siding or windows can greatly affect other components of the home. The exterior of the building is designed to protect the interior components from mother nature. The interior of the home includes all the various rooms and related items, which are not covered in other aspects of your home inspection on the interior of the dwelling. Some items may overlap such as bathrooms and plumbing, rooms and electrical, and so on. The professional inspector will go through each and every room including all visible and accessible areas of your new home. This is a very important part of your home inspection because symptoms of larger problems are often visible in the various rooms of your home. Settling can be noticed in the floors and walls. Roof or plumbing leaks may be noticed on the ceilings. Poor quality workmanship on mechanical distributions such as outlets and heat convection may be visible. Your inspector will go through each room making notes of relevant defects. Although most cosmetic items, such as worn paint and old carpeting, are not important, they often indicate a general lack of maintenance in the home. Very few homeowners may have badly worn carpet and peeling paint, but they have maintained the much more expensive mechanical and structural components. When a home is in need of a lot of cosmetic work your inspector has already seen a red flag. Recently performed cosmetic work is also carefully inspected to try to determine if it has been done to conceal deeper, more extensive problems. An older home with brand new carpet and paint throughout is often a home that was neglected until resale. Very often the sellers are advised or take it upon themselves to cosmetically repair and upgrade as much as possible to increase the value and curb appeal of the property. Usually these upgrades are done with cost effectiveness in mind and may also be an attempt to mask major problems.